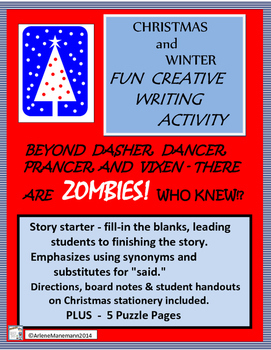 This writing activity has students completing the beginning of a story about two teens taking a walk on a December evening, and the possibility that zombies might be around!!! 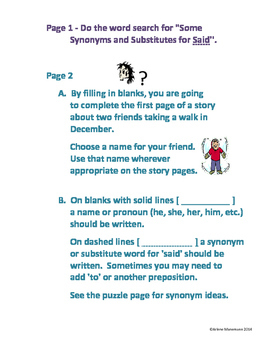 At first students need only fill-in-the-blanks, and then the fun continues as students write the remainder of their story independently, using their own creativity. Emphasis is given to using dialog that is introduced with words other than "said". A puzzle page gives lots of suggestions for that. 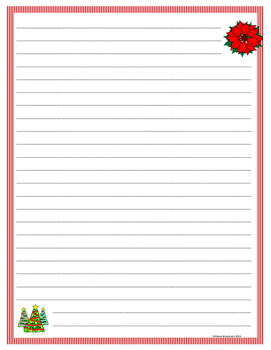 Teacher and student directions are here as well as all handouts necessary, including decorative stationery pages on which to write the story. 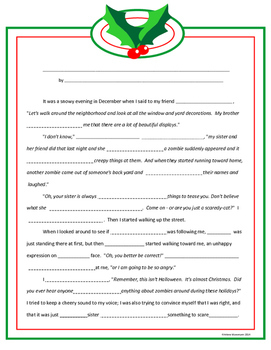 Five Christmas themed puzzle pages for early finishers or just for fun are included, with answer keys. See Preview for samples of three pages.